came onto the people and places team and one of the first visits I made in my role as education advisor was to Port Elizabeth. 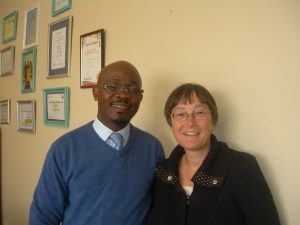 Paul and I worked well together from the very start and it was immediately apparent how much Paul cared about our partnership work at the different township schools and at Emmanuel, and how committed he was to using volunteering and tourism as a force for good. Paul was always my role model for what a local partner should be. Whenever I have visited other countries to help set up new partnerships I have found myself using descriptions of the way Paul worked as examples of good practice. Even when I was asking him to do potentially boring administrative work for us, such as updating our support plans for the projects or chasing questionnaires from the schools, he totally understood the reasons for doing such tasks. With Paul, I feel we had a genuine partnership, all of us on the same wave-length, with each of us contributing our knowledge and ideas to the work we were doing together. 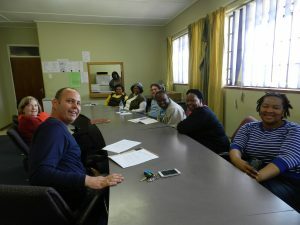 Every volunteer I have met who has volunteered in Port Elizabeth, at Emmanuel or on the Schools Support programme, has spoken very highly of the support they received from Paul and the Calabash team. They certainly set high standards for others to live up to! I hope Paul realised how very much he was loved and respected. It is so hard to believe that Paul is no longer here, but I look forward to continuing to work with our partners at Calabash as we continue his work.